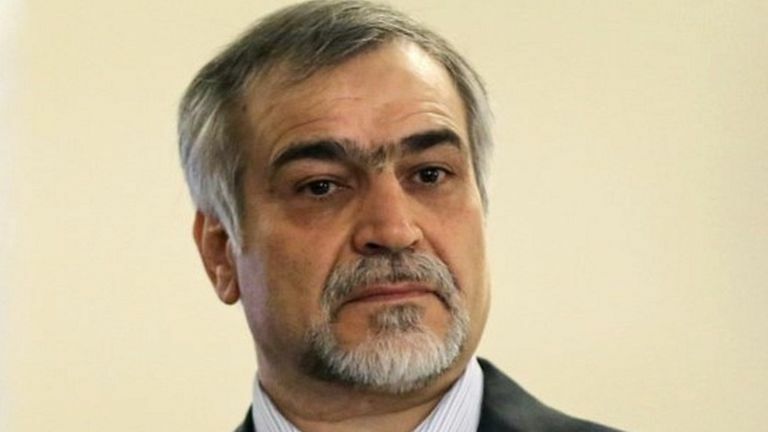 The brother of Iranian President Hassan Rouhani, Hossein Ferydoun, has been detained, a judiciary spokesman says. Mr Ferydoun failed to meet the bail terms on unspecified financial issues and was taken to prison. He has been linked to officials at the centre of a scandal involving inflated salaries for managers at the state insurance company. He has always denied any wrongdoing. The saga has dogged President Rouhani for more than a year. The judiciary spokesman, Gholamhossein Mohseni-Ejeie, said: "Multiple investigations have been conducted regarding this person [Mr Ferydoun], also other people have been investigated, some of whom are in jail. "Yesterday, bail was issued for him but because he failed to secure it he was referred to prison."